Our mission it to offer an opportunity to experience richer life outdoors and by 4×4. DESERTEX Corp. was established in Las Vegas USA in November 2011. This company is working for the Japanese who live on the other side of the Pacific, in the United States. This website is in Japanese language. This site is doing its best in helping Japanese in being able to access any information about 4×4 and outdoors of the United States and the world. We are introducing 4×4 outfitters and outdoors goods in United States to the Japanese market. The opportunity of doing business with Japan is open all the time. 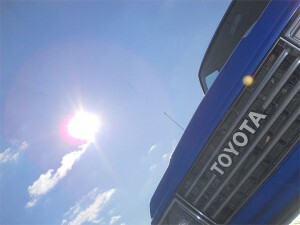 Japanese 4×4 lovers who are looking for items and service in every day life can use this website. We are the people who live in different areas and regions of the earth and connected through the common subject of 4×4 and outdoors. We believe that the mission of our company offers such opportunities. Support an individual purchase of parts and outfitter and outdoor items in US markets to Japanese customers. B to B, Purchase assistance for wholesale goods to Japanese entrepreneurs.